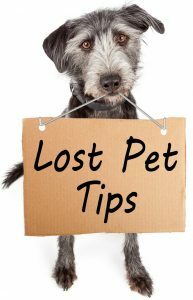 Missing Animal Response Network would like to share these helpful Lost Pet Tips documents you can download and share. We encourage you to print the two cat and two dog files double sided. This way you can have one handout each. If you need professional help please feel free to checkout our Pet Detective Directory for a trained person near you. Be sure to follow us Facebook at https://www.facebook.com/MissingAnimalResponse.